A collage for todays' Ruby Tuesday. 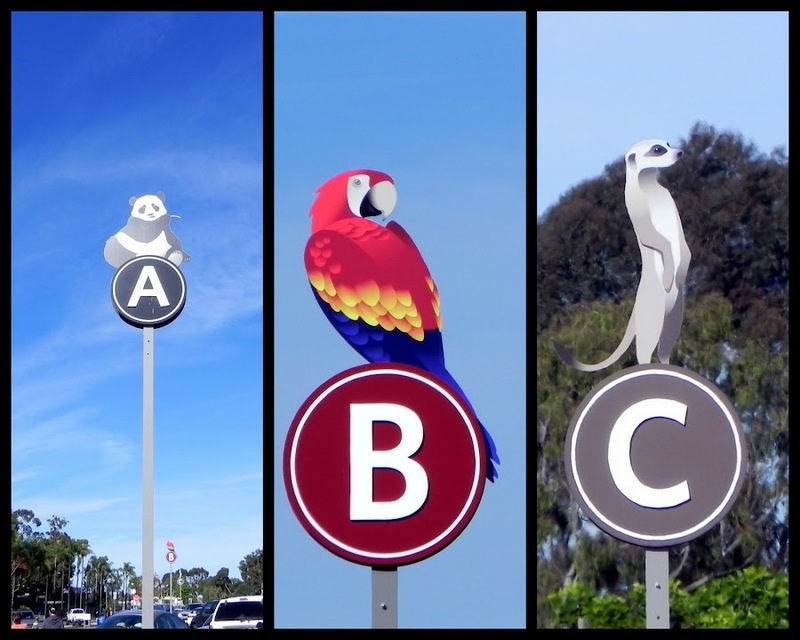 These are the row markers in the parking lot of the San Diego Zoo. They help you locate your car in the huge parking lot. Click over to Mary's to see who else posted some red in their photos. This is so cool and very creative! Very fun...looks like a pretty huge parking lot. Of course, it IS San Francisco...:D The signs are very artsy and cool. 'B' definitely stands out. Happy Ruby. Great shots! I love the San Diego zoo, but we haven't been there in many, many, many years.